Mix dry ingredients in a medium bowl. Add olive oil and milk. Use a fork or pastry cutter to mix into the flours until small pea sized pieces of dough form. Add water and cut again. 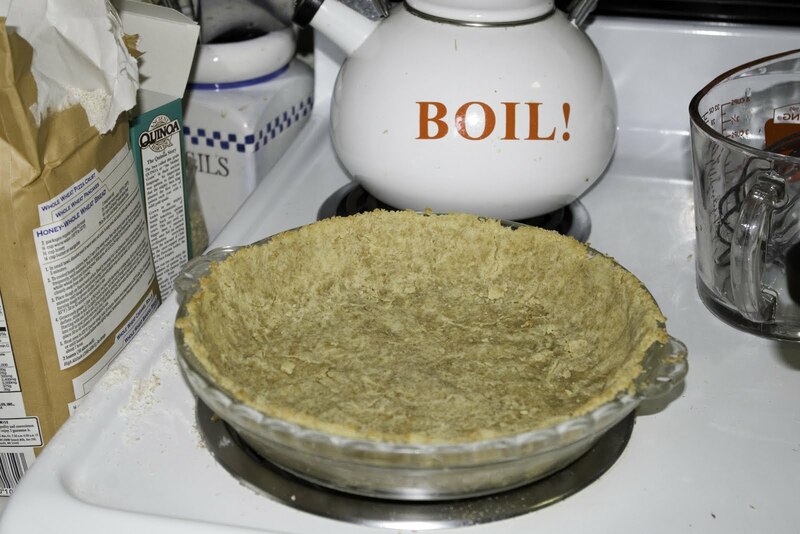 Press pastry into a 8 or 9 inch pie pan until entire pan is covered with 1/8-1/4" of dough. This dough does not roll well, but presses easily into the pan. 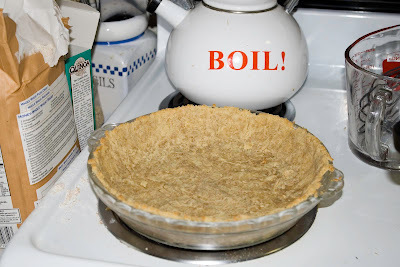 For pre-baked, use fork to poke a few set holes along the sides and bottom. Bake at 350 for 10-12 minutes.